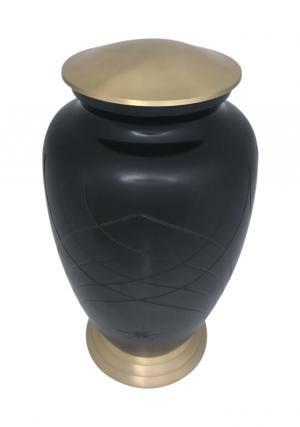 Simply Skipton Black Adult Urn is made of high quality solid brass and curved to perfection from skilled professionals. 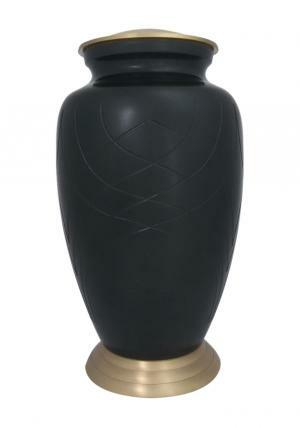 The Adult large urn is decorated in black enamel with encryption of beautiful curved lines equally presented. 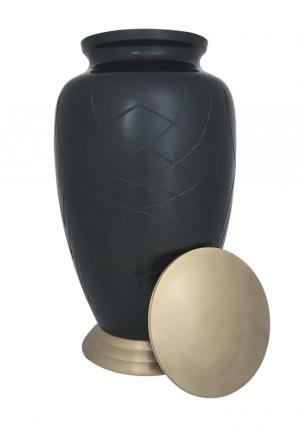 The big adult black cremation urn has base and lid brushed up in gold. 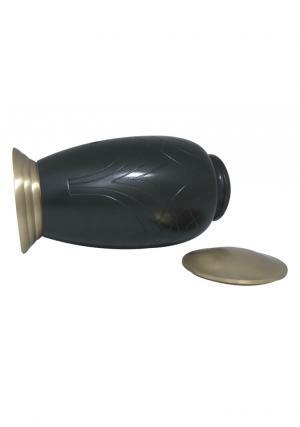 The lid of Adult memorial urn is screw threaded to secure the ashes of loved family member or friend after the cremation. 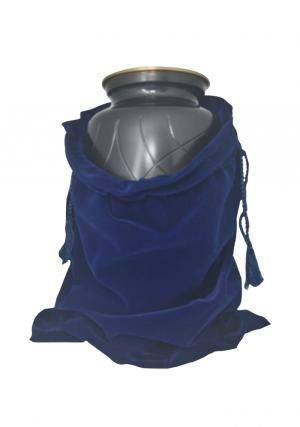 The urn can carry ashes of adult human which are 200 cubic inch that stands 11.02 inch height, 6 inch width and measures 2.36 kg in weight.